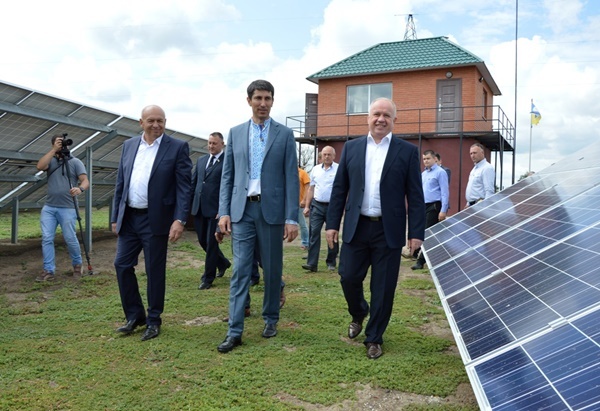 Solar power-station was built at the expenses of Avantgarde Agrofirma LTD upon initiative of Vasyl Kramar, owner and director of the enterprise. Decision about building of this important object was made year and a half ago. As far as the station had to be built in place of destroyed hospital, very large amount of cleaning and landscaping works was performed before the actual construction even started. Contract works were fulfilled by Rentechno. Installed solar batteries occupie about 5 hectares. 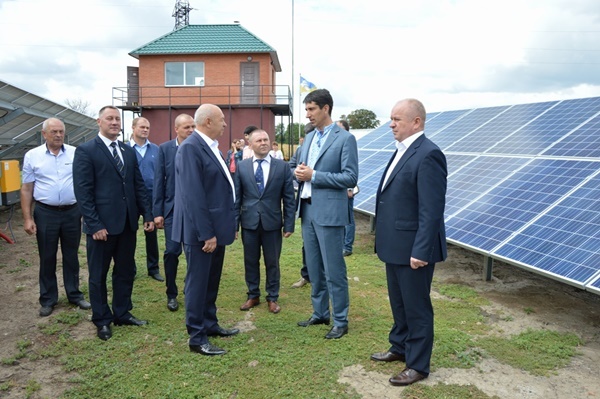 – Only one year ago Paris agreement was signed for reduction of emission of harmful substances into atmosphere and wider use of alternative energy sources, and we already have today 17 industrial solar power-stations just on the territory of Kirovograd region. There more than 180 of such stations all over Ukraine. The chairman of state region administration expessed his gratitude to the project initiators, and noted that agrarians of Kirovohrad region not only grow good harvests, but also make their contribution into power independence of the state. Together with Olexandr Chornoivanenko, the chairman of regional council, the regional governor handed over the highest reward of region, “Honour and glory of Kirovograd region”, to Vasyl Kramar. Opening ceremony was continued by congratulations of numerous guests and rewarding of those, who made considerable contributions into construction of the station, and finally the ceremonial ribbon was cut. The chairman of state region administration examined territory of the station and got acquainted with some key principles of its work. – About ten people will work at the station. This is very important, in fact we create new workplaces, fill up the economy of our region with new taxes. And actually building of the station by agroenterprise has already invested dozens of millions UAH in the region economy, – concluded Sergiy Kuzmenko after inspection of the station. 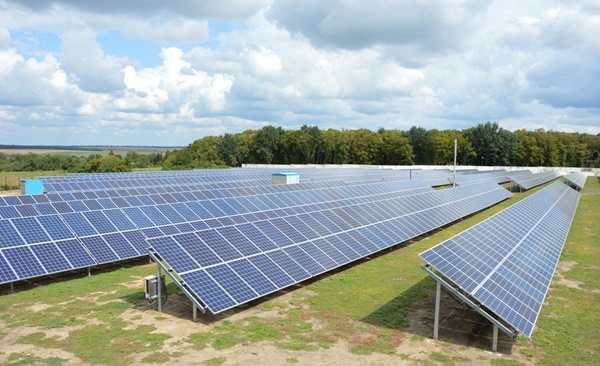 More examples of utility-scale solar power plants which were completed by Rentechno you can find by the following link.